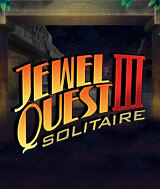 Welcome to the exotic world of Jewel Quest Solitaire III. Rupert and Emma´s friend, Ratu, has discovered a valuable tablet in the ruins of an ancient civilization. Little does he know that this find is just the beginning. When his beloved assistant Yumi is abducted, Ratu is propelled into a treacherous game of cat-and-mouse with a gang of dangerous thugs. Travel with Ratu in this Jewel Quest Solitaire sequel, and experience compelling Solitaire layouts and addictive new Jewel Quest boards. Fresh features and power-ups, plus 100 boards of combined play, will make Jewel Quest Solitaire III feel brand new again. Comments: THIS IS A FUN GAME TO PLAY. IT IS A MUST PLAY GAME YOU WILL ENJOY PLAYING IT. NEVER A DULL MOMENT. Comments: Really great game! Has a lot of variaty for everyone. One of my favorite games!